Well I can say I’m particularly choosy and very selective when it comes to out-door activities. And I’m sure am not the only one who is like that. Any how, there’s this group called “SHANGHAI TELEPORT” , Started out as a joke where they do random barbeque and excursion plans mainly. 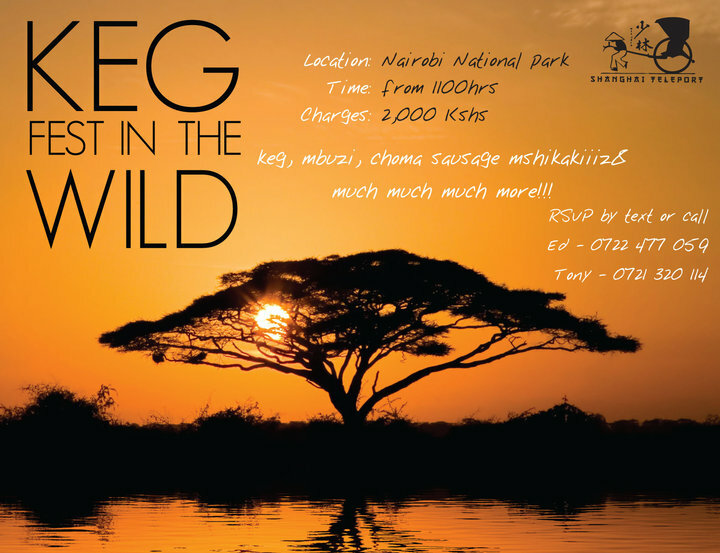 Well, they’ve invited me to a few, a barbeque at Uhuru Gardens, one at Rolf, and National Park. 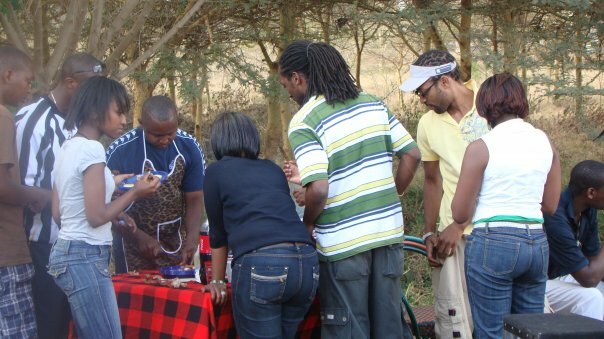 Here’s a pic of the barbeque at Uhuru Gardens, happened on some holiday that landed on a Monday and since guys wanted to chill and gang up with others on Sunday, Shanghai Teleports brought up this random barbeque plan at the most convenient place #UhuruGardens. Met cool people from different places, made it a platform for interaction, it wasn’t crowded, had the right chilled out pips , the FOOD which is usually my most important part was sooo YUMMY! Everyone blended in well. And after that I was like any other event I’m invited by them am soo IN. Like no second thought, no doubts. Because everything was just on point. Anyhow so this time round they decided they’ll do it a bit differently so that they can organize better…and well, so I was told to invite some of my friends and am so green when it comes to inviting people to something…oops! So here goes, it’s taking place at the National park, one of the picnic places there. Been there before with them and it was just too freesh!! I mean, for all the barbeques i’ve gone with them, I always go home thinking, “OK! When’s the next one”. The crowd, the FOOD, the environment (includes surrounding, music). I TOTALLY DIGG! Anyhow, just in case you want to tag along, maybe you can hala at the no’s at the image or you can tell me a bit in advance. Details are on the pic, charges are Ksh. 2000 to cater for everything, and i mean everything. You know the kind of : No stress, No Sweat once you’re in!